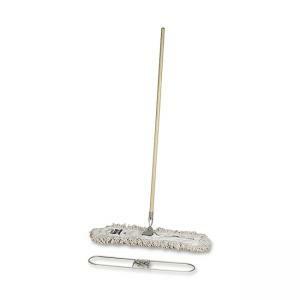 Complete mop with frame, handle and dust mop delivers maneuverability. 360-degree swivel frame swings at all angles to provide the most versatile, efficient dust-control tool. Mophead frame is chrome-plated to resist rust and is reinforced with 1/4" steel rod crossbars for maximum strength. 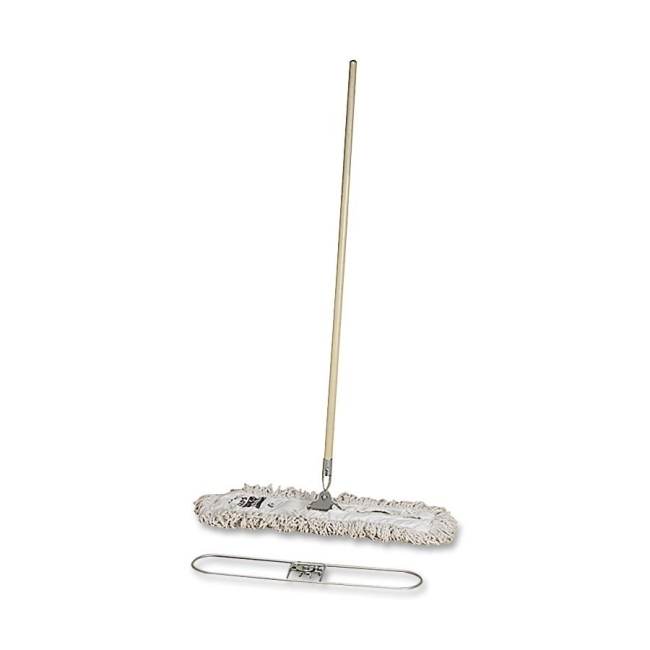 Absorbent, natural cotton yarn mop is designed for damp mopping and scrubbing efficiency and is made from 100 percent recycled material. Lightweight handle measures 15/16" x 60" and is made of natural wood. Refillable.